RootWorks recently chose Tallie to be included in its CPA practice curriculum. RootWorks, the accounting profession’s premier membership-based education organization, recently chose Tallie, a leading expense report software solution, to be included in its CPA practice curriculum. The RootWorks model is designed to help firms improve operational efficiencies by implementing optimized workflows and technologies and applying proper branding and marketing strategies. Tallie was introduced as the preferred expense report software provider to RootWorks members at its annual Winter Academy Conference in Sarasota, Florida on December 12. Developed by SpringAhead, Tallie effectively streamlines the entire expense report workflow from point of purchase all the way through accounting integration and reimbursement. Tallie’s integration with core accounting ecosystem applications, including Bill.com, Right Networks and SmartVault, has resulted in similar endorsements by BMRG, National Advisor Network, and The Sleeter Group. 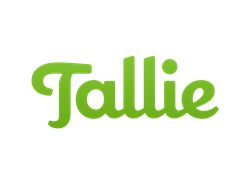 Tallie is an award-winning and industry-trusted business expense report automation software solution that streamlines the entire expense management process—from point of purchase to accounting and reimbursement. Designed for the professional accounting audience, Tallie provides industry-leading integration with major accounting systems and SaaS solutions for unmatched ease-of-use and accounting control. Visit tallie.com to learn more or talk to an expense report automation expert. RootWorks is an exclusive membership-based organization dedicated to serving the needs of small to mid-sized tax and accounting firms nationwide. We are committed to educating our members on how to implement leading strategies and innovative technologies to create workflows and systems that enable them to operate at peak efficiency. We also provide members with state-of-the-art website creation, brand identity, and marketing collateral development services. For more information on RootWorks, contact info(at)rootworks(dot)com or visit RootWorks.com.